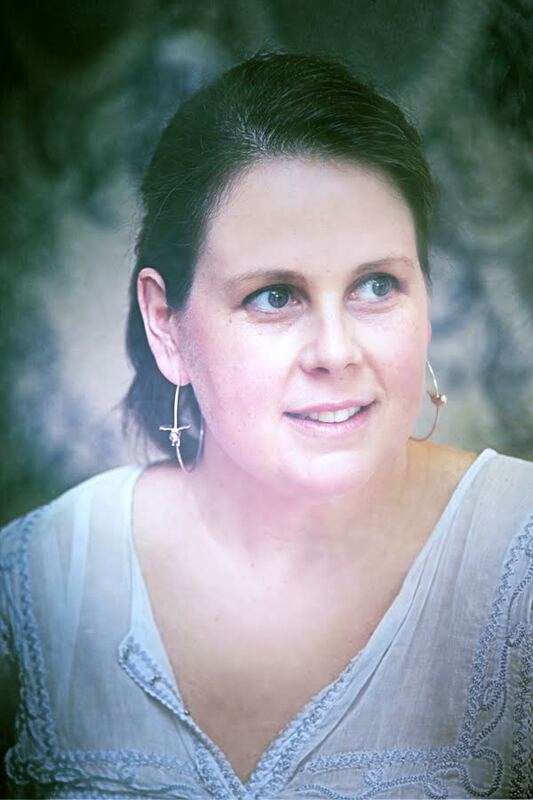 Kate lives in Melbourne, Australia with her husband, two children and two dogs, and can be found nursing a laptop, surrounded by magazines and watching trash TV or French films. Kate is the author of the adult novels; The Perfect Location, The Perfect Retreat, Seduction and Close Up. She has also written five young adult romance books including; Unlucky Break, Head over High Heels, Beauty and the Beat, Piece of Cake and Twice Upon a Time. Daphné Le Marche is a successful business owner who knows her time has come. Someone else has to take over her company. She started making cosmetics when she was very young and through hard work and determination she made something of her brand and of herself. The future of her work is in the hands of her family now. 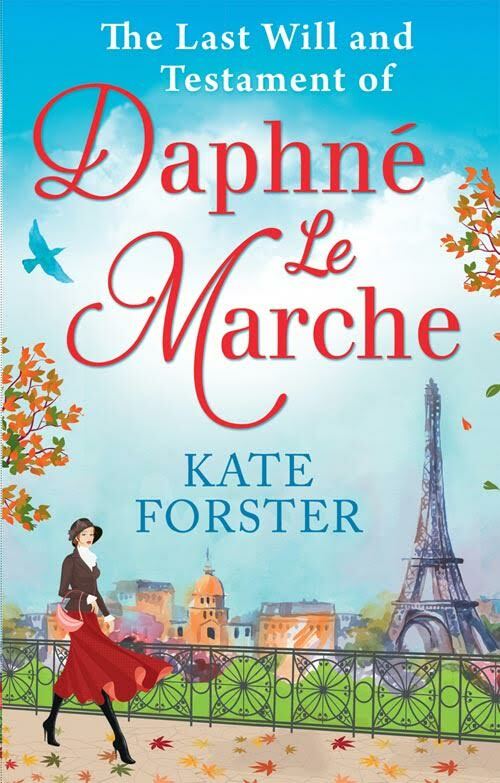 There are three contestants, Daphné's oldest son Robert, who proved to be a disaster running Le Marche, but wants to have the company more than anything he's ever wanted in his life. Daphné also has two granddaughters, Celeste and Sybilla, who might be more suitable to run a company, but they have no experience in that area. Celeste has never had a proper job, but she knows everything there is to know about glamour and society. Sybilla is a scientist. She doesn't care about her looks all that much, but she can create. Who will be the most capable? When Daphné dies family secrets are bound to come out, will her beloved company survive them? The Last Will and Testament of Daphné Le Marche is an intriguing story about a fascinating family. The Le Marche family has plenty of secrets and I couldn't wait to find out what they were. The story gripped me from the start and I read this book in one sitting. I loved that it's set in several countries, that it's filled with strong female main characters and that there are many surprising twists and turns. I was captivated straight away and fell in love with Daphné's beautiful products. Kate Forster manages to bring so much of life into the Le Marche family members, the struggling Le Marche company and the love lives of her main characters, which is absolutely fantastic. Celeste and Sybilla aren't alike in many ways and I loved that they each had a distinct personality. They both learn to fight for what they believe in. I like books about independent women and they're great examples of capable feminine main characters. Sybilla isn't used to living in luxury, she's down to earth and really smart. Celeste is glamour personified, she's stylish without much effort and even though she has her insecurities she knows what she wants and she isn't afraid to go after it. It was fun to read about both women as well as their mothers. Robert is another kind of person altogether. He's unkind, brooding and dark and he's angry about the past. His character is interesting and he brings a lot of unexpected commotion. The personalities of the main characters are carefully created and together they bring a wonderfully complete family history. Kate Forster's writing style is easy to read. Her story is fast-paced and set in different times and countries. I enjoyed the variety, the whirlwind of emotions and the complex family relationships. Love is an important element of the story and Kate Forster manages to form some amazing connections. The Last Will and Testament of Daphné Le Marche is a terrific book filled with spectacular developments and shocking revelations. I had loads of fun reading this novel and highly recommend it. Edward wrote quickly and then handed the papers to Daphné, who lifted her hand. Where do I sign?’ she asked with a tired sigh. Dying was exhausting, she thought. No wonder people only did it once in their lifetime. Edward picked up a book from her bedside table for her rest the paper on. ‘Can you witness this, please?’ Edward asked the woman, in a tone Daphné admired. He had grown into a confident man and she trusted him, which was as rare in business as it was in love. The nurse watched as Daphné signed her hand and then Edward and the nurse added their signatures to the document. ‘It is done,’ said Edward, in a deferential tone, after the nurse left the room. ‘I don’t envy you,’ she said, a small smile creeping onto her face. ‘Why is that?’ he asked, as he packed his papers into his satchel. ‘I am capable of handling anything, I’ve been taught by the best,’ said Edward, reaching down and touching her hand. Her skin was cold, but her grasp firm, as she held his hand. ‘Thank you,’ she said, meaning it deeply. Edward had been her greatest support over the last years and she hoped he could be the same for the girls. ‘Look after my petites-filles,’ she said, so tired now. ‘I will, and I will be back to see you again,’ he said, his thumb stroking the back of her hand. She nodded, but she knew he wouldn’t be back while she was alive. If there was one thing Daphné Le Marche knew how to keep it was a schedule. After Edward had gone, and the fire was dying in the grate, she saw the colour she had been chasing her entire life. And she cursed God that she could never replicate it in her lifetime. All she had ever wanted was to create a product that gave women the glow as though they had just fallen in love or made love or even both. She touched her own cheek with her hand and tried to remember when she last had that glow. It was too long ago, she thought sadly, and she closed her eyes and slept, and between the hours of two and four, just as she had suspected she always would, Daphné Hélène Le Marche née Amyx died. She had never been late to a meeting before, and she sure as hell wasn’t going to be late for this one. Sounds beautifully written, emotional read about life, love, and the sins of the past. Love the review - as always. Oh goodness, this book sounds just like what I'd LOVE to read! I enjoy finding an occasional book where a strong woman takes the lead, especially in the business world. (I have entrepreneur tendencies myself, so I look up to similarly-minded women.) And it's all wrapped up in a story? Perfect. Oh, wow. This book looks absolutely brilliant. I am so taken by this magnificent element: "Dernières lueurs—the perfect afterglow." How incredible, and how perfectly fitting. I can only wonder of how this term plays into the story-- the metaphors, and so on. A woman who manufactured cosmetics!-- many of which, today, promise to "illuminate." To illuminate, or to... glow.